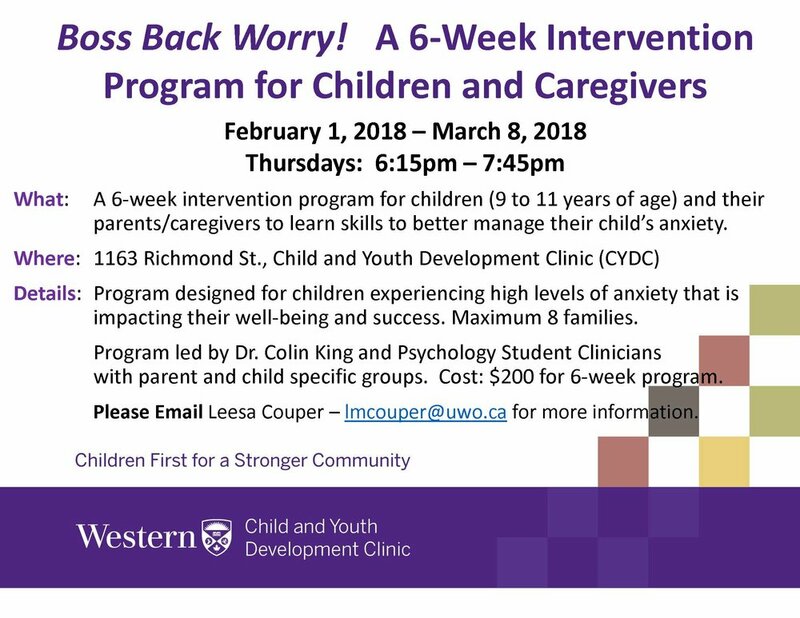 Next Open House/Parent Support Group is scheduled on January 29, 2018. This is a free event, but registration is required. 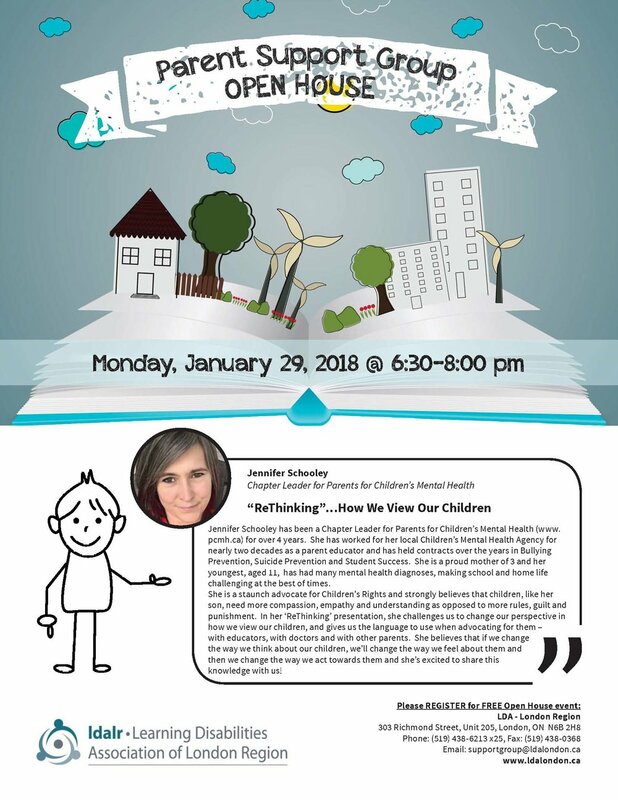 Jennifer Schooley is the speaker. For more info, please refer to the poster. Please note that our agency will be closed for holidays from Saturday, December 23, 2017 to Sunday, January 7, 2018 and will re-open on Monday, January 8, 2018. We wish you safe, happy and joyous holiday season! 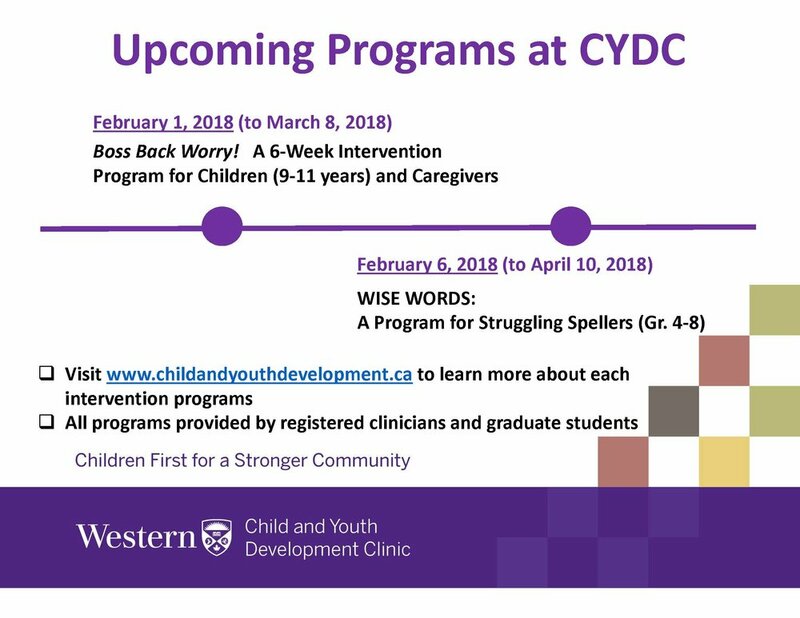 Winter Program Registration is OPEN! The 2017 NHL Alumni Benefit Tour presented by Scotiabank! Celebrating the 30th anniversary of the law enforcement torch run by your favourite former NHL legends face off against the law enforcement all stars in support of Special Olympics. The Western Fair Sports Centre will play host to Hockey Night in London on Saturday, October 28th, 2017. And, LDA has some free tickets to distribute. 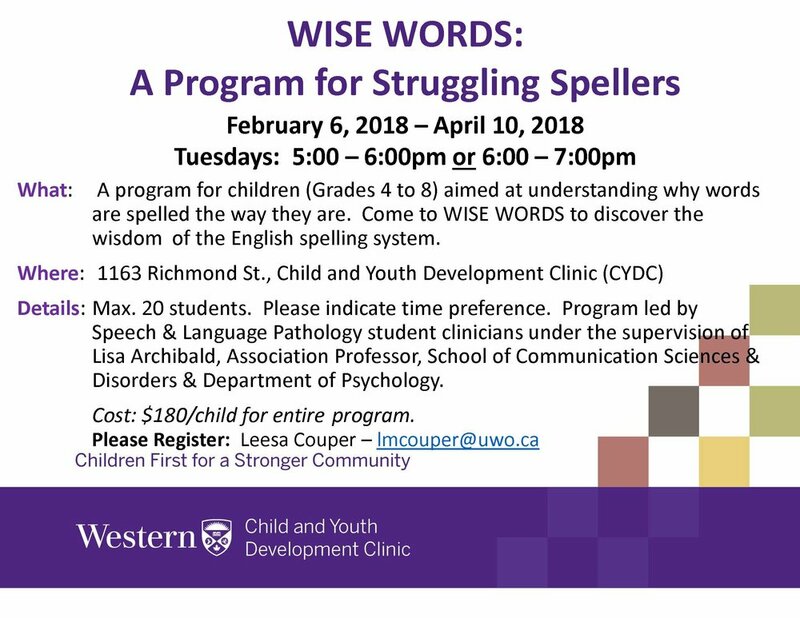 If you are interested please contact Ermina Melkic at (519) 438-6213 x21 or ldainfo@ldalondon.ca. Please keep in mind that we have a limited supply of game tickets, so first comes first served! Doors open at 5:00pm, game starts at 6:00pm at the Western Fair Sports Centre, 865 Florence Street, London, Ontario. As part of the LD month, we will be hosting an open house on Oct 23. For details and registration please refer to the poster below. Hope to see you then! 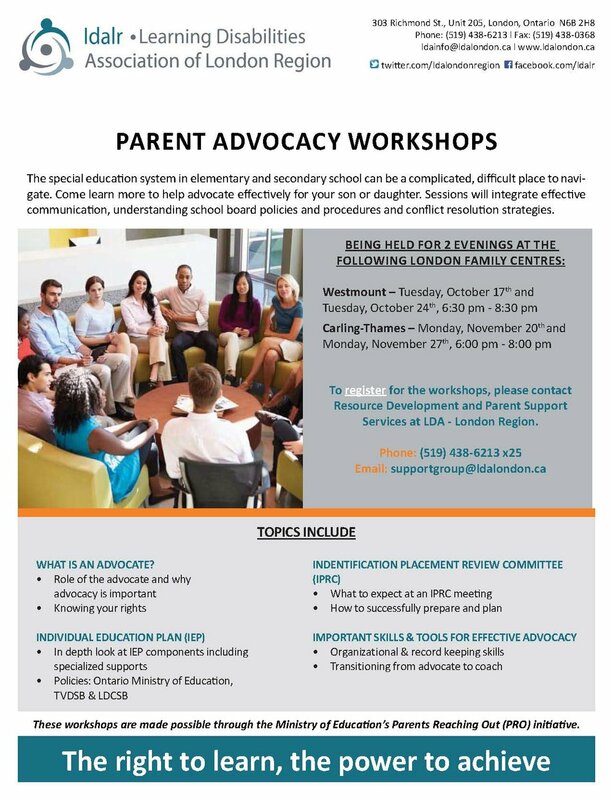 This fall season Parent Advocacy workshops are offered for two evenings each at Westmount and Carling-Thames Family Centres. For more details and registration, please refer to the poster below. Registration is free. PLEASE NOTE: Westmount Parent Advocacy Workshops (October 17 and 24) will be rescheduled. The follow up with new dates will be available shortly. The final dates for camp registration have passed and we are looking forward to seeing all those who have signed up! Our Annual General Meeting will be on Monday, June 26, 2017. Parents, educators, community agencies and general public are all welcome. Registration is free. Light refreshments will be provided. For more details please refer to the event poster. Our agency will be closed on Wed, May 10, 2017 for an offsite meeting. We apologize for any inconveniences. 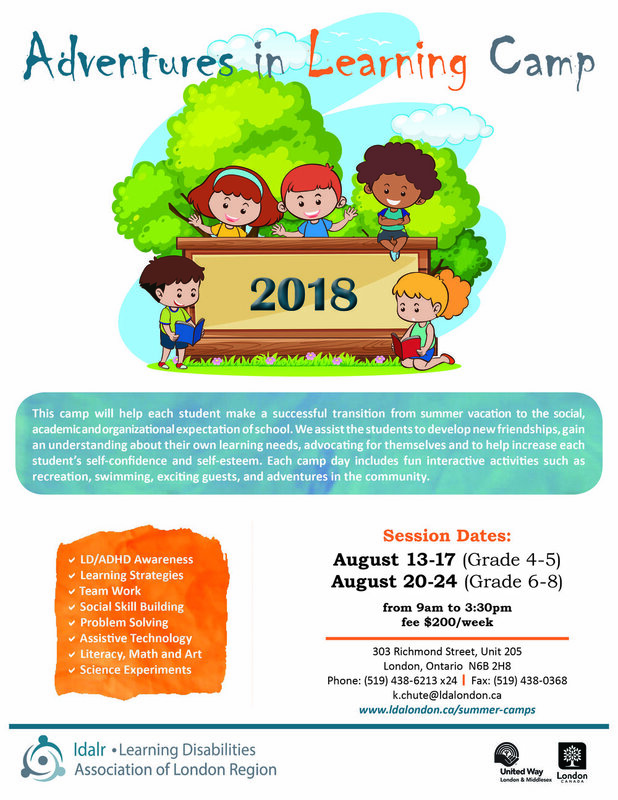 Special Education at Thames Valley District School Board is Asking For Your Input! Our 3rd Annual Leadership and Learning Breakfast is less than 2 weeks away. HELP US spread the word! Share with your colleagues, friends, family members and any other interested parties. 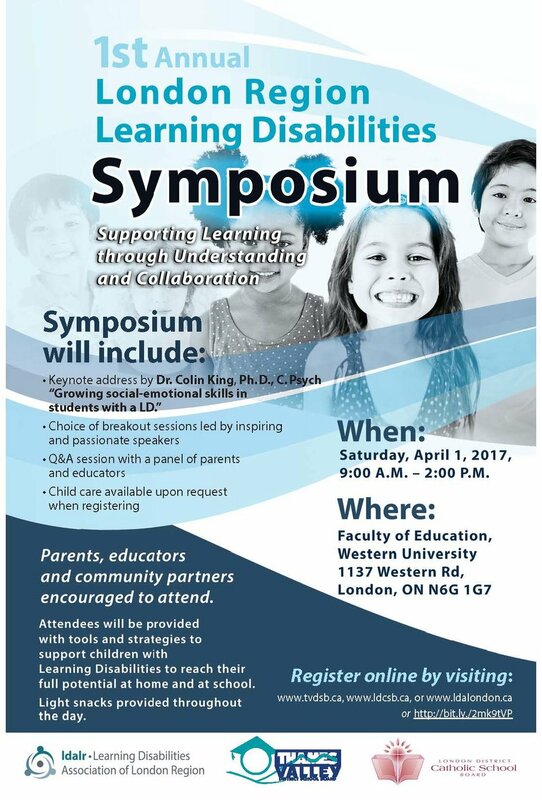 Our mission at LDA - London Region is to make sure that every child and youth in our area has access to the programs and services we offer. Considering the fact that ONE in FOUR children in our school system is identified with exceptionality, your support is much needed and appreciated. The purpose of our 3rd annual fundraising breakfast event is to help raise funds for ESSENTIAL READING, MATH and TECHNOLOGY PROGRAMS. Our special guest speaker is former NFL player Sean McHugh. Come out and support our program and services we offer as charitable, non-profit organization to London community and surrounding counties. Join us and invest in our children's education and their bright future! Please note that LDA - London Region will be closed for March Break from March 13 to March 19 and will reopen on Monday, March 20.